What do you do when you have one overly ripe banana left and it’s gotten too gross looking to eat? 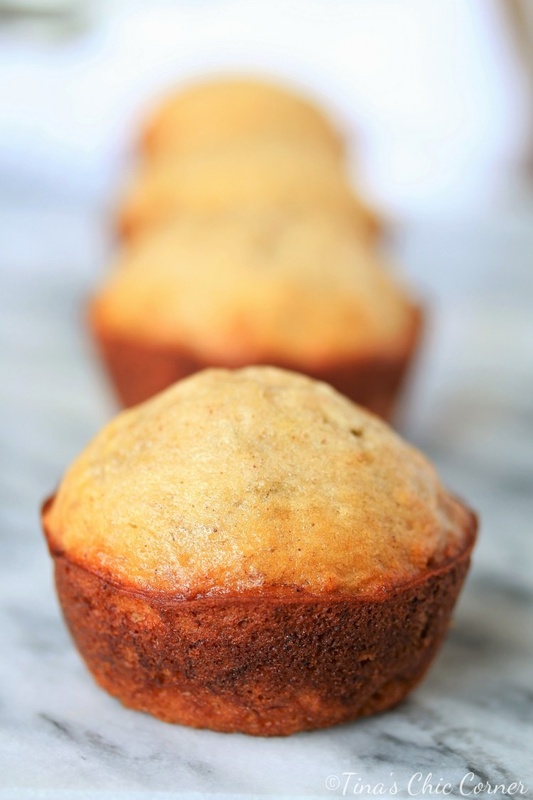 You make a small batch of banana muffins! A batch of four muffins is the perfect amount for me and my sister. If you’re like me then you already have all of the ingredients on hand, even that handy dandy last banana that’s been sitting on the counter begging to be used. You don’t even have a lot of dirty dishes to wash when you’re done. That may sound silly but sometimes I’ll skip a recipe if it looks like too much kitchen duty. I can’t be the only one who thinks that way. Anyone? The muffin batter smells amazing. Cinnamon and nutmeg… mmm. I’m the type of person who gets every last ounce of batter out of the bowl. I don’t like to waste any of those delicious calories. 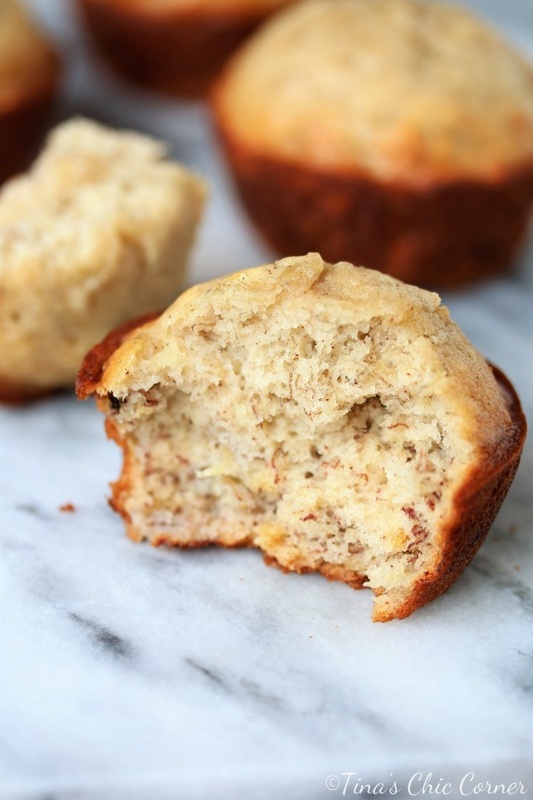 Guys, these are the best banana muffins I’ve ever made. I’ve made a few versions, including ones that I’ve shared with you on my blog, but these are my favorite. They have good height, they taste freaking delicious, and they’re super moist. 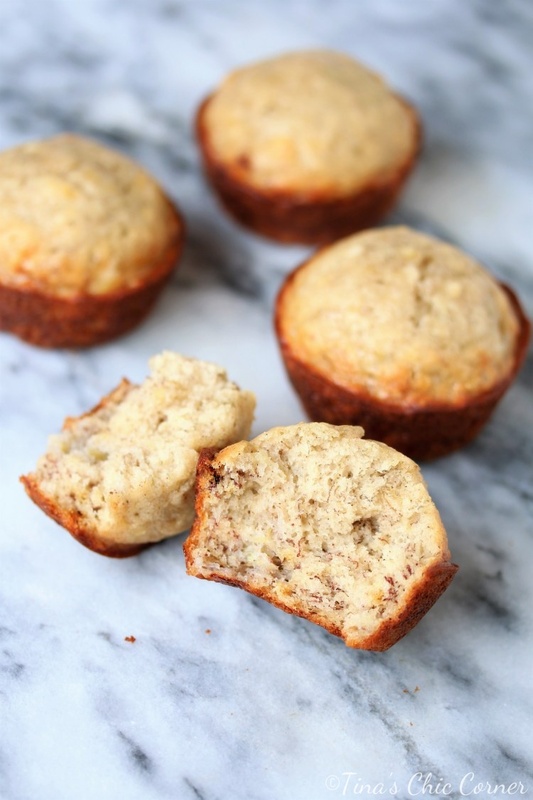 Yup, these hit all the important check marks for an ideal muffin. Of course making small batches of anything is a blessing and a curse. It’s great portion control for two people but it leaves me wanting more right away. Next time I will double the recipe because more is better. Plus, I have no problem freezing the extras and grabbing one when I want it. I might even add some nuts or chocolate chips too. Mmm, chocolate for breakfast. Preheat the oven to 350 degrees F. Grease 4 cups in a regular muffin pan and set it aside. Add in the sugar, egg white, and oil, and stir everything together. Add in the flour, baking powder, baking soda, salt, cinnamon, and nutmeg, and stir everything until just combined. 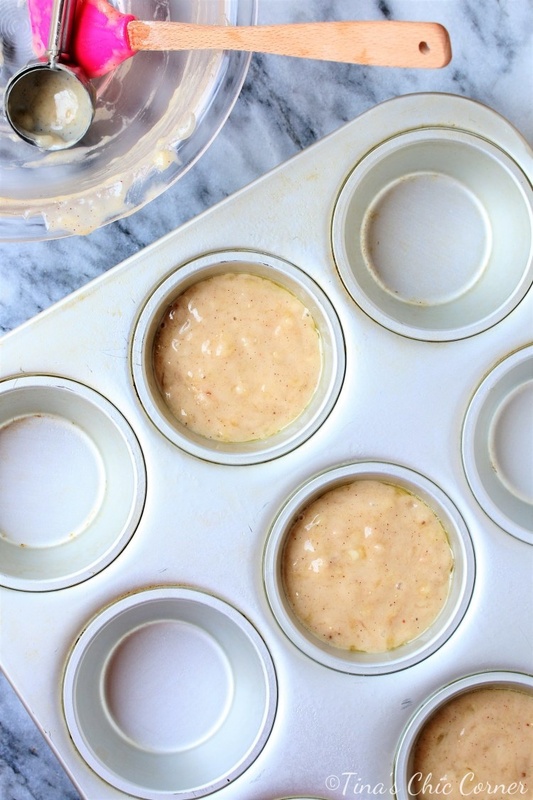 Divide the batter evenly into the 4 prepared muffin cups.